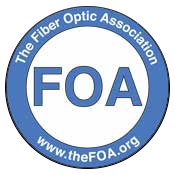 Posted May 9th, 2017 by Connected Fiber & filed under Fiber Optic Info, Fiber Optic News. Posted July 27th, 2016 by Connected Fiber & filed under Fiber Optic Info. Posted May 12th, 2014 by Connected Fiber & filed under Fiber Optic Testing.